Metro Rod has a proud history spanning more than 30 years and during this time we have built an unrivalled reputation for excellence and innovation in the drainage industry. Metro Rod was founded in 1983 in Macclesfield, Cheshire, and has subsequently grown to become a leading provider of drains clearance and maintenance services on a national basis, operating 24/7/365. In 2016 Metro Rod expanded its range of services with the launch of Metro Plumb which primarily serves the emergency insurance market. Between 1990 and 2001, Metro Rod was owned by Thames Water and subsequently became part of a group of companies which provided infrastructure support services to the utilities sector. This group of companies was under private equity ownership from 2010 to March 2017 when Metro Rod was acquired by Franchise Brands plc. Franchise Brands plc is a group of international multi-brand franchisors with a combined network of over 450 franchisees in 12 countries, but predominantly in the UK. 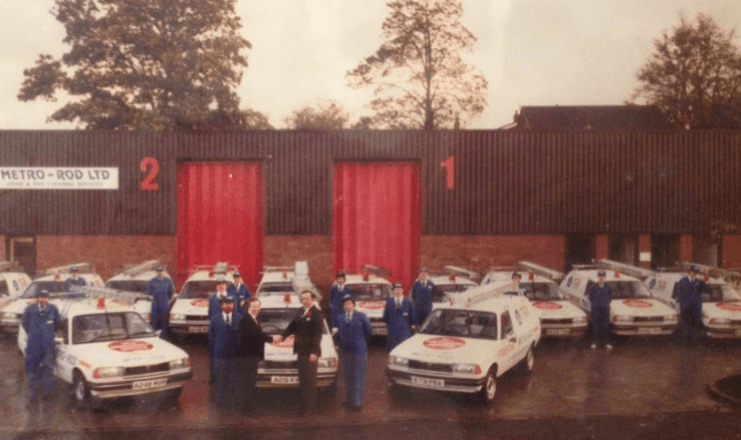 Our current principal brands are Metro Rod, ChipsAway, Ovenclean, and Barking Mad, all of which deliver services through the Group’s franchisees. Franchise Brands plc was founded in September 2008 by Stephen Hemsley (Executive Chairman) and Nigel Wray (Non-Executive Director), the Group’s principal shareholders, who have substantial experience in franchising. Metro Rod is a highly successful business. We have been members of the British Franchising Association (BFA) since 1997 and have won a number of national awards with them. As well as winning Franchisor of the Year in 2003, in 2016, two of our franchisees were named Young Franchise of the Year and Female Franchisee of the Year. We have a commitment to health and safety and this is reflected in our accreditations. RoSPA (The Royal Society for the Prevention of Accidents) also awarded us the Gold Medal for the 8th consecutive year in 2016.